Searching for a Cancer cure on the web, either you are a patient or a relative, can be very stressful and frustrating. However, if you have landed on this page, you have probably already done some research first and you have decided, or maybe even considered, to walk on different paths than the usual classical paths of oncology. But let us be clear and let us get straight. We are not against the classical methods for fighting cancer, like surgery, chemotherapy and radiation. In fact, we strictly think that you should follow the orders given by your doctor as it is. The recommendations given in this page are just some useful information in order to help your classical treatment to work better and more effectively. After experiences from relatives and friends fighting cancer and lots of hours researching, we have come up to 2 major conclusions. a) First, it is very rare to succeed fighting cancer (especially stage 2 cancers and above) without having a strong immune system. b) Unfortunately, it is very very difficult for a cancer patient to build a strong immune system, sometimes even impossible. The need for a strong immune system is a fact even if you catch a cold. You will find tons of articles for the importance that the immune system has in fighting cancer. We don’t intend to write details on it… Furthermore, you will find on the web lots of tips and tricks and also supplements and vitamins for strengthening the immune system. Lemon juice and soda, carrots, aloe juice, plants such as wheatgrass, mushrooms, cannabis, strange algae from Japan, even snake poisons and many more. We are not against all of the above, but just tell a cancer patient who does chemotherapy or has done surgery to drink 5 times a day lemon juice and soda, or to drink 5 times a day wheatgrass or 3 times a day aloe juice. Just tell a cancer patient to drink 1 gram of cannabis oil (Rick Simpson oil) per day. Even regular users of marijuana have problem to use such doses. And if a cancer patient decides to use cannabis oil anyway, s/he not only faces the possibility that s/he will be badly stoned all day long, but s/he is also in danger to go to prison or have law penalties. How fair would that be for a person who already suffers? How fair is for a person whose stomach is already a mess from chemo, to eat all these kinds of “healthy” diets or drink all these kinds of supplements? The majority of the people who suffer from cancer or are on treatmenet simply CAN NOT do all this kind of stuff. The only method for a person who suffers from cancer and has stomach problems and low appetite to take supplements is intravenous. But guess what? Intravenous therapy is only used in hospitals or medical centres. Also, even if you decide to get a home nurse to help, there are no intravenous products on the market like aloe, wheatgrass, mushrooms or cannabis. The only thing that is very effective and is on the market is high dose intravenous vitamin C.
You can read the vitamin C therapy protocol here. High dose IV Vitamin C therapy is a treatment used by medical centres all over the world, mostly in Germany, the United Kingdom and the United States. The cost for therapy in these medical centres varies but in most cases it is not affordable for the majority of people with middle or low income or in general low economic status. For those who are daring enough and choose the “do it yourself” method, you can search the web to buy IV Vitamin C. But unfortunately, it is not easy to find high dose intravenous Vitamin C to buy, except for a couple of medical companies that require a doctor’s licence and it is expensive too. One can also find IV Vitamin C bottles from Asia, which are difficult to ship plus, their quality is questionable. Most of the IV Vitamin C bottles found on the internet is for animal use only. Still, there are a couple of suppliers that will sell you these bottles and tell you that they are also suitable for humans. Which of course, is not the case and may be risky. The most reliable and cheap solution therefore is to buy Pascorbin. Pascorbin is an 7,5 grams IV Vitamin C from a very reliable German company, Pascoe. Pascorbin is used along with at least 100 ml isotonic saline solution 0.9% per bottle. For example, for 1 bottle(7,5grams) of pascorbin, you need at least 100 ml solution,,for 2 bottles (15grams) you need at least 200 ml solution, for 4 bottles (30 grams) at least 400 ml solution, etc. The second choice which is also very promising and painless is a rife machine. You can read the article about the rife machine here. Rife machines seem very effective in fighting lots of diseases and almost all types of cancers. If you do a research on the web, you will find lots of rife machines. Some of them are good and some of them are useless, especially for cancer. Those that are good are either very expensive or too complicated to use and in some cases both. We don’t want that. 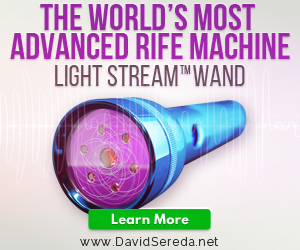 Light Stream™ Wand is the most easy to use rife machine on the market, almost a plug-and-play case, and very reliable. The third alternative choice is something that we have already mentioned above. It is medical cannabis but without the side effects. More specifically, we are talking about CBD oil and unlike TCH oil, the side effects are below moderate. For cancer patients is tolerable and also helps decrease the side effects of chemotherapy, especially nausea and vomiting. CBD oil helps stop metastasis and helps the immune system to rebuild. CBD oil does not kill cancer cells like TCH does but we are against TCH for two main reasons: first, it make you feel dizzy or “high” all day and the majority of people don’t like that; second, it is illegal. As long you do chemo, there is no need to add a cancer cell killer but you can work perfectly with CBD oil and IV Vitamin C.
Elixinol is the only supplier that provides CBD oil in many different forms and with flavors. You can choose from a variety of the classical oil drops form and capsules ,the new respiratory form or even a pen which is our best choice. Suffering from cancer is a tough situation not only for the patient but for their relatives and friends too. To deal with the situtation you need to be as calm as possible because you have to make the right decisions for a treatment with a clear mind. Follow the directions from your oncologist and try to discuss with them about your disease and receive as much information as you can, concerning your disease, the treatment types that can apply for you and their side effects. Focus on yourself and try to think what part of your life or which habits helped the disease grow into yourself. The treatments we suggest to you as supplementary are all tested and we strongly believe that if you combine all of them together with the classical cancer therapy methods, you will have the most optimised chances to succeed in gaining you health and life back. And most importantly, they won’t make you suffer more in any way. Keep your spirit up and may you be blessed and have good luck!! **This blog is dedicated in memory to our lovely mother and grandma Helen. Copyright by Beatcancer.eu © All rights reserved.